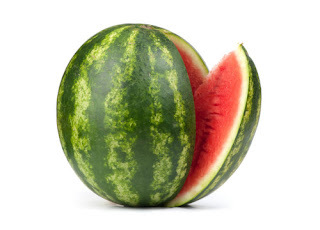 A naturopath Dr. Robert Adamu has urged people to consume water melon as has many health benefits. According to Adamu, watermelon, which contains about 92 percent of water, is a refreshing fruit with nutrients; each juicy bite has significant levels of vitamins A, B6 and C, and lots of lycopene (about 20 milligrams per two-cup serving), antioxidants and amino acids that are healthy. Adamu said: “Lycopene is a phytonutrient, which is a naturally occurring compound in fruits and vegetables that reacts with the human body to trigger healthy reactions. It is also the red pigment that gives watermelons, tomatoes, red grapefruits and guavas their color. “Lycopene has been linked with heart health, bone health and prostate cancer prevention. It’s also a powerful antioxidant thought to have anti-inflammatory properties. He said the redder watermelon gets, the higher the concentration of lycopene becomes. “The fruit’s beta-carotene and phenolic antioxidant content also increase as the watermelon ripens. Beta carotene is an antioxidant found in red-orange fruits and vegetables. It helps with immunity, skin, eye and the prevention of cancer. Based on scientific tests, antioxidants contained in watermelon are an effective cure for oxidative stress that is inevitable in the human body,” he said. Besides, watermelon, he said, lowers blood pressure, also known as hypertension, which is a very common pre-condition to heart attack, strokes and other fatal diseases if not early treated. “Watermelon reduces kidney disorder, which can lead to kidney malfunction. According to him, the fruit has abundant supply of both potassium and calcium each of which helps to flush out the toxin in the body. ‘’The extra calcium reduces the concentration of uric acids in the blood. And the fruit helps in these processes of body maintenance,” he explained. He listed other health benefits of this wonder fruit to include fostering a well-mechanised, uninterrupted timely digestion, helping in prevention of gastrointestinal problems e.g. constipation, which are commonly caused by poor diet and inadequate fluid consumption. Adamu said watermelon helps in skincare since it contains vitamin C and E, which help in prevention of skin diseases and infections and smoothens the skin. “Besides, it has been proven to help in hair growth and hair maintenance. I recommend watermelon for muscles and nerves support. This is because it is rich in potassium, which is highly beneficial to muscles. It determines the degree and frequency with which muscles contract and relaxes. “Watermelon consumption has also been recommended as a curative measure for physical and external wound-healing incurred in the course of daily activities. The presence of ascorbic acids or vitamin C is involved in all phases of human wound-healing. It is recommended that about 60 mg or more of vitamin C should be consumed daily,” he stated.